There are some recipes that are so full of flavor and nutritious, you can’t help but make them over and over again. 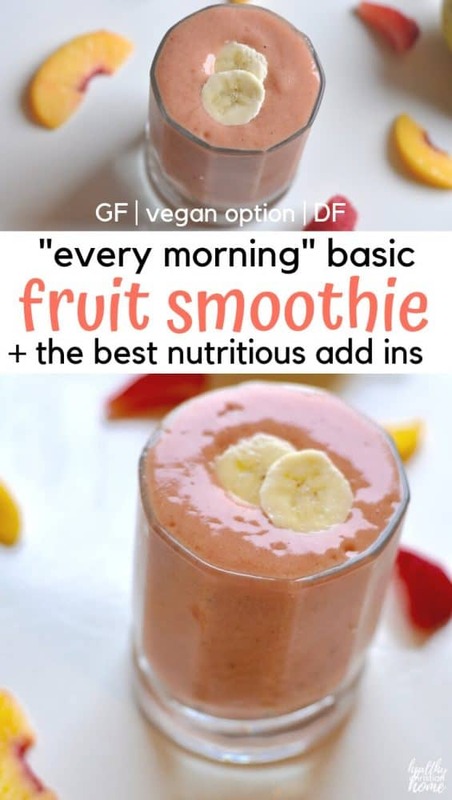 That’s definitely the case with this easy everyday basic fruit smoothie recipe! Filled with nourishing fruits (and a bit of veg), plus nutrient-dense “power-ups”, you’ll be ready for whatever the day brings! This easy smoothie is probably the most frequently made recipe in the Harp household, and that’s saying something. We are creatures of habit: chicken wings, taco salad, spaghetti & meatballs, and homemade muffins are our well-worn favorites. 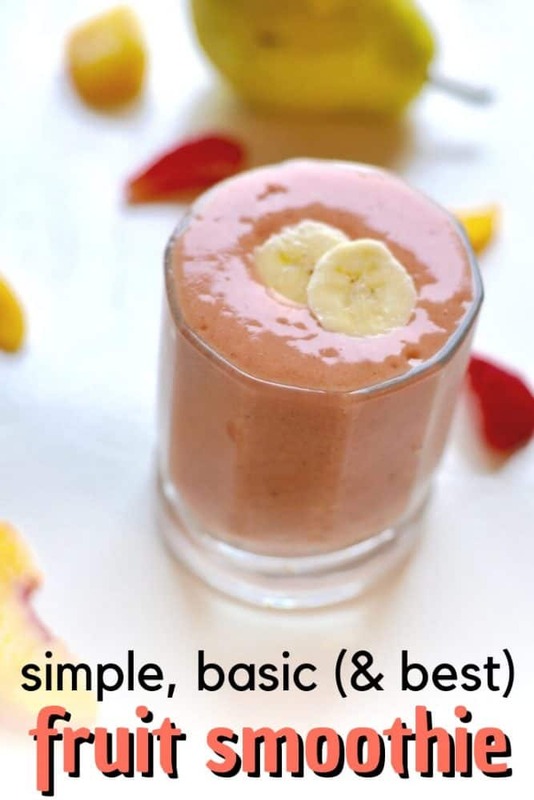 But what could be easier (or more nutritious) than a fruit smoothie?! Nine days out of ten, this basic fruit smoothie is our drink of choice with whatever breakfast we’re having that day – whether it’s oatmeal, blueberry pancakes, toast, or pumpkin chocolate chip muffins. 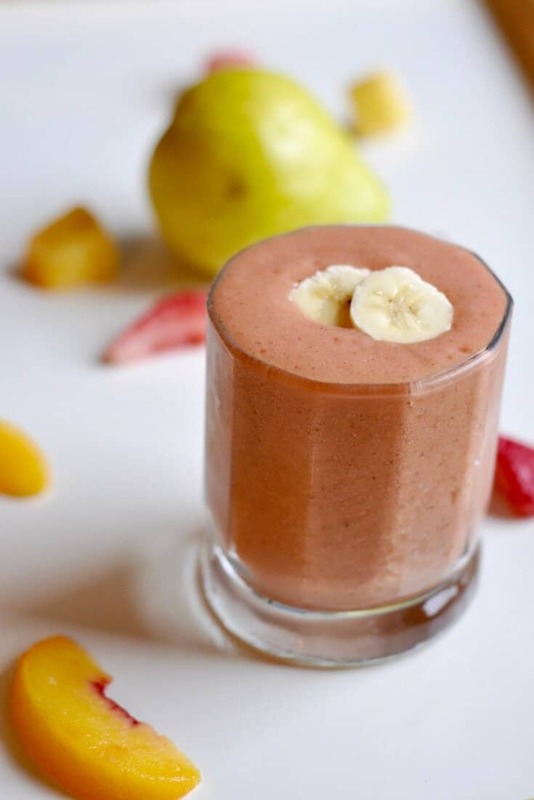 Breakfast never feels complete (and we never feel as good) without this yummy, nutrient-dense smoothie! As a mom, it’s also my favorite way to sneak nutritious extras into my kids’ diet. So what do I put in our basic fruit smoothie? 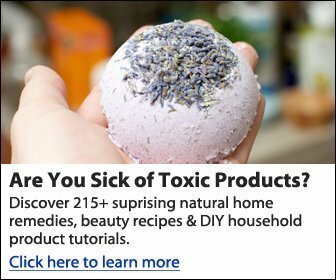 Well, I’m glad you asked. 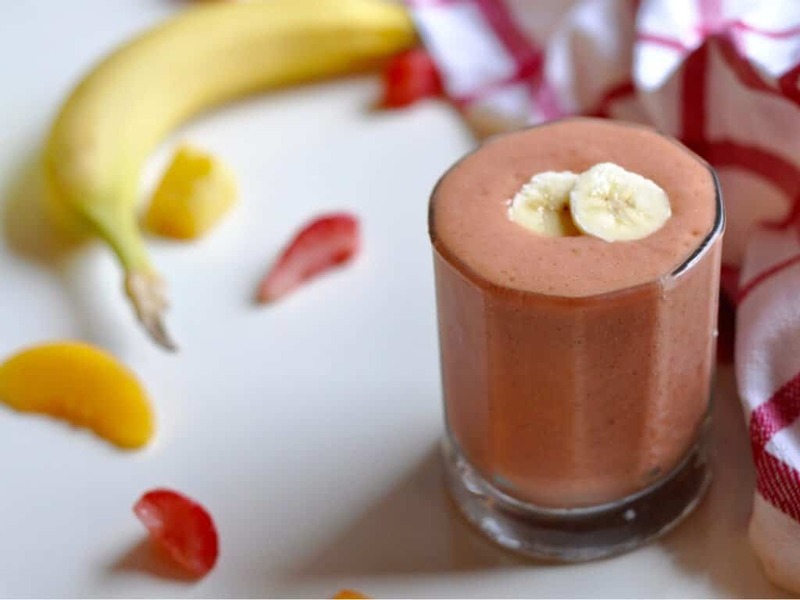 Banana: Adds bulk, fiber, and sweetness to the smoothie (plus magnesium & potassium)! Frozen fruit: This recipe calls for frozen mixed fruit, but you can use literally anything you have on hand. Berries, mangos, and peaches are all great picks. Yogurt: Adds a probiotic and calcium boost, plus a creamy texture. Power-ups: I like to add a variety of what I call “power-ups” to my smoothies. These are basically healthy powders, seeds, or oils to maximize nutrition. 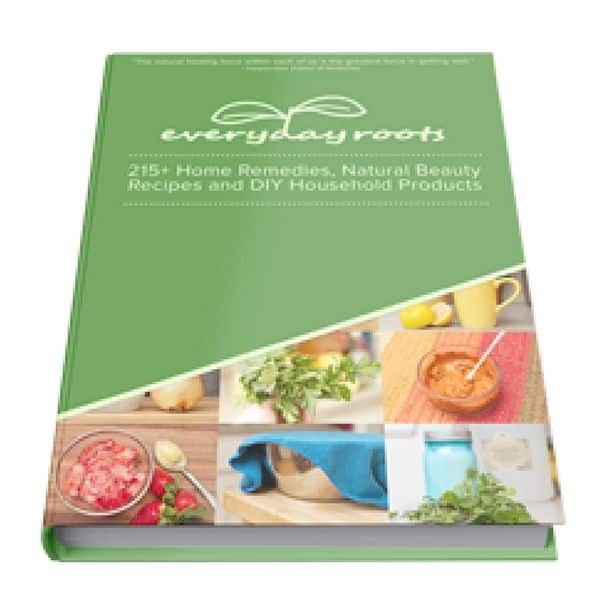 Our favorites are chia seeds, flax seeds, coconut oil, collagen powder, or dry oats soaked in water overnight. Liquid of choice: Our smoothie liquid varies constantly. I’m currently on a juice kick, but we often use coconut milk or herbal tea to liquify our smoothies. 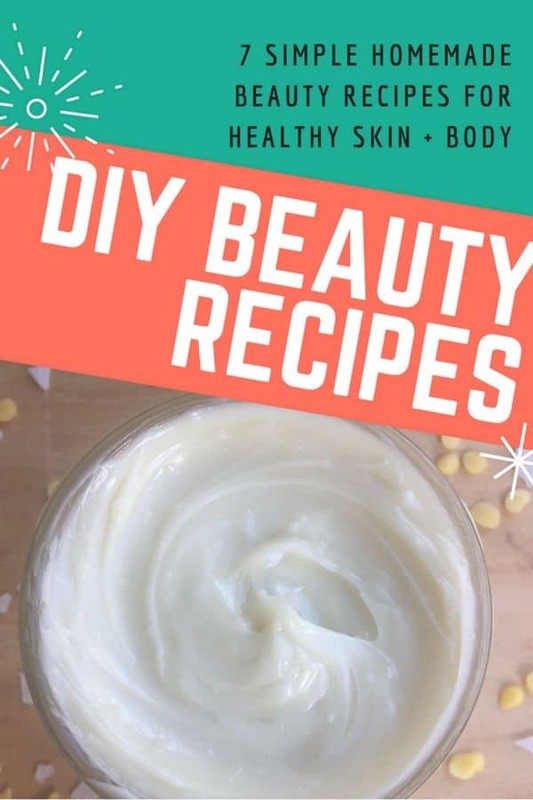 You can also use dairy or nut milk. I always add part flavored liquid and part water. If you want to use room-temp fruit instead of frozen, you can sub ice for water and get the same result. Try subbing other mild-tasting veggies for the carrot. You could try zucchini, squash, or cauliflower. The power-ups are entirely optional – we just really like them and they add so much nutrition! Here’s an amazing place to get your coconut oil, collagen powder and lots of other nutrient dense power ups: Perfect Supplements! They only use the highest-quality ingredients like organic, grass-fed, etc. Pro Tip: My favorite way to quickly include power-ups (instead of adding a bunch of singular ingredients) is to mix up a big batch of this awesome smoothie booster powder. It includes all the best nutritious power-ups in one big jar. Then, I just add one scoop to our daily smoothie! 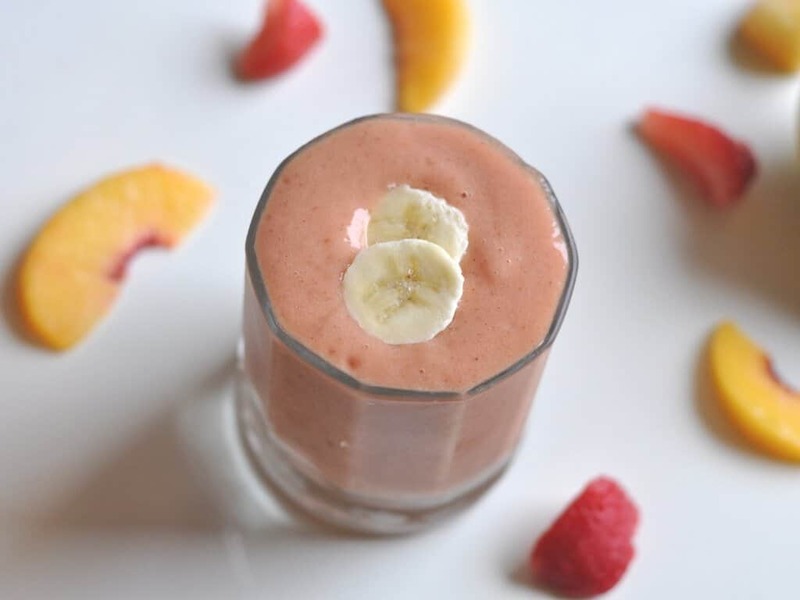 Filled with nourishing fruits (& a bit of veg), plus nutrient-dense “power-ups”, this easy basic fruit smoothie provides energy for whatever the day brings! Add all ingredients to a high-speed blender and blend on HIGH for 1 minute. Serve immediately. 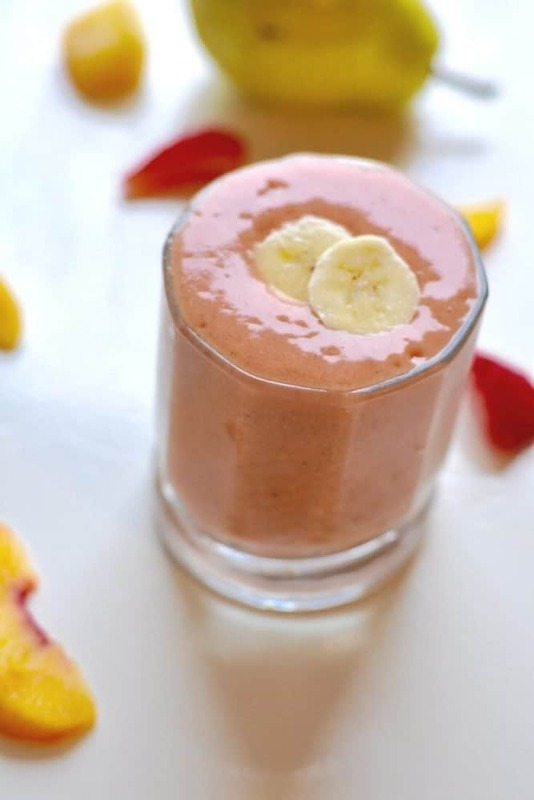 For an easy way to add your power-ups, try mixing up a batch of this smoothie booster powder! A high-speed blender is important for creating a creamy texture with hard veggies like carrots. This is our favorite. For a vegan or dairy free option, use nut or coconut milk and yogurt. 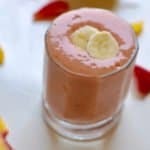 Are you a smoothie drinker? What’s your favorite flavor?